Clinic Synopsis: The rhythm section players are the only members of the band to play constantly for almost the entire chart, improvising the accompaniment as the chart develops. This session will demonstrate the elements that allow section members to effectively groove together, dialogue with soloists and drive the band. A specific focus will be on the guitar/piano relationship, the bass/drum hookup and orchestration of sound. 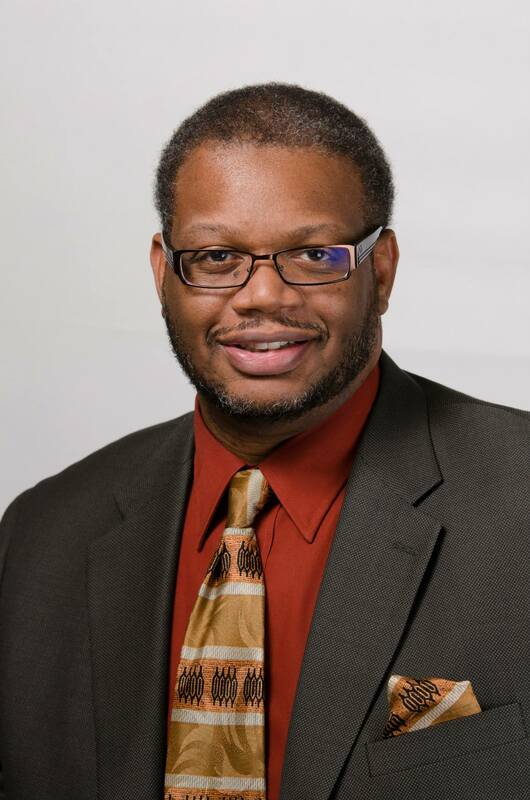 Clinician Biographical Information After 3 years on faculty at Michigan State University and almost 20 years as professor of music at Southern Illinois University Edwardsville, Professor Thomas took over as Coordinator of Jazz Studies at Northern Illinois University in the fall of 2014. Reggie remains a consultant/clinician for Jazz at Lincoln Center working with the Essentially Ellington Program and Band Director Academy and has presented workshops for the Weill Music Institute at Carnegie Hall. He serves or has served on several summer jazz faculties across the country and abroad including the New York Jazz Symposium at Snow College; the Birch Creek Music Center; the IAJE Teacher Training Institute; the Summer Jazz Academy in Chodziez, Poland and the Barbican Center in London. He remains an active clinician/adjudicator at colleges throughout the country and at Jazz Education Network Conventions. Thomas has directed All State Jazz Bands, Combos and Jazz Choirs in Illinois, Iowa, Kentucky, Maine, South Dakota and Tennessee and directed the first ever Missouri All-College Jazz Band. Reggie can be seen fronting his own groups (Mardra/Reggie Thomas Ensemble; OGD) on both piano and Hammond organ. As a sideman, he works with vocalist Ann Hampton Callaway, The Count Basie Orchestra and as accompanist for the Thelonious Monk International Jazz Competitions. Reggie continues to appear as guest artist at collegiate jazz festivals around the country including Southern Utah University, Eastern Illinois University, and Notre Dame University. He has performed internationally in Brisbane, Calgary, London, Milan, Montreal, Poznan, Senegal, Toronto, Trinidad and Warsaw. Thomas’ newest recording (with wife Mardra), Matters of the Heart, is released in March and follows previous recordings Fade to Blue (MaxJazz), Standard Time (Victoria) and 4 (Jazz Compass). Other recordings include work with the MSU Professors of Jazz, Clay Jenkins, Kim Richmond, Clark Terry/Mike Vax. Reggie has been awarded the Excellence in the Arts award from the Greater St. Louis Arts and Education Council and was named in Riverfront Times "Best of St. Louis" as Best Jazz Artist.